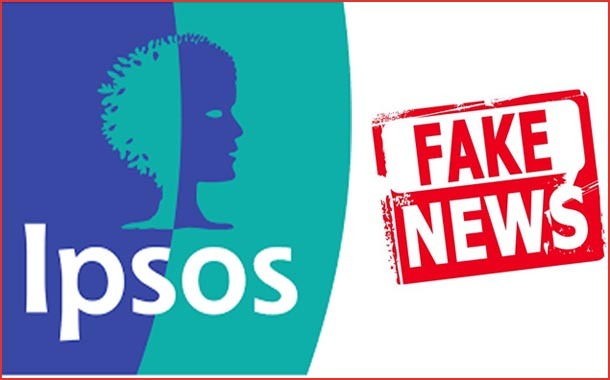 New Delhi : According to a new survey by Ipsos and as a part of the long running series on misperceptions of social realities – The Perils of Perception –more number of Indians think that fake news, filter bubbles and post truth are something that affect all people in general. The study of over 19000 people in 27 countries shows that the majority of Indians say that they regularly see fake news and half of them said that they believed a fake story, only to discover later that it was fake. Notably, the survey further shows our trust in politicians and media declining. The survey shows that 74% Indians think that the average person in India lives in a bubble on the internet, mostly connecting with people like themselves and looking for opinions they already agree with. Only 55% Indians think that they themselves have the same tendency of living in the bubble. 70 per cent of Indians believe that they can tell real news from fake news, and less number of Indians think (56%) that the average Indian can tell the difference between the two – having less faith in the average person. When it comes to Fake News, 72% Indians profess to have seennews stories bymedia organizations deliberately saying something that wasn’t true. And 55% Indians say that they had falsely believed a news storyas real until they found out that it was fake. Interestingly, Indians interpret Fake News in different ways: 55 per cent Indians say Fake News are stories where the news outlets or politicians only pick up facts that support their side of the argument; 53 per cent say Fake News are stories where the facts are wrong; 36 per cent Indians feel it (fake news) is a term politicians and the media use to discredit news they don’t agree with. Why are our perceptions misplaced?Why do we get it wrong? Indians blame it on multifarious factors that we get facts wrong about our country, how they are changing, what proportion of the population are immigrants, whether crime is rising or declining:56% blame politicians for misleading people; 47% believe that it is the media that is misleading people; 44% feel social media is the culprit for people’s lopsided views; 43% Indians think peopleper seare biased in their view of the world and tend to focus on negative things – they think that things are getting worse or sometimes they generalize from their own experience; 25% Indians blame it on the figures being wrong and exonerate people’s views for it; and 21% Indians blame it on the inherent discomfort withnumbers, that people have, that warps the estimates. Parijat Chakraborty, Executive Director, Public Affairs calls it a dangerous era: “Fake News is a menace that can have serious repercussions unless we stop spreading and producing these. Common people are not generally producing fake news but everybody can contribute in stopping the spread of it. All it takes is a second of pause to assess the piece of news with rational logic. And this is made more dangerous because we have an in-built tendency to think that we’re better at spotting lies and understanding reality than other people. This pushes us to think that fake news, filter bubbles and post-truth are other people’s problems, not ours. But the results of the survey show that these are a real concern for many people.